I’ve had my fair share of touch gloves for use outside during our cold Canadian winters and while I’m not a fan of the cold, MUJJO released this past October their own take on what premium touch gloves should be. They offer 6 different unique glove style which should work for almost anyone. While this isn’t a gadget per say, this will be one of those “must have” for the winter time. The double layered gloves I’m using were developed due to an increased of requests from people that live in colder climates part of the year. Perfect for the use I’ll be making since Ottawa tends to get frigid during the winter season. A lot of it due to the nature of the humidity we have and being surrounded by water. The extra layer made out of wool acts as an insulator and doubles as the lining, this provides enhanced insulation. The leather strap at the end provides a magnetic snap button to ensure that the gloves are on nicely. The inside of the hand in covered in anti-slip dots which gives you a better grip. Now, don’t get me wrong, but I’m not sure it really does give me more grip on the Nexus 6P I still think it’s slippery as all hell. To provide the gloves conductive ability, MUJJO knitted high-quality silver-coated nylon fibres into the fabric which in turns allows you to use your smartphone. It might be good to note, that there have been lots of different methods to making touch gloves, however, each company seem to take a different approach IE: Glider Gloves, Nanotips etc. 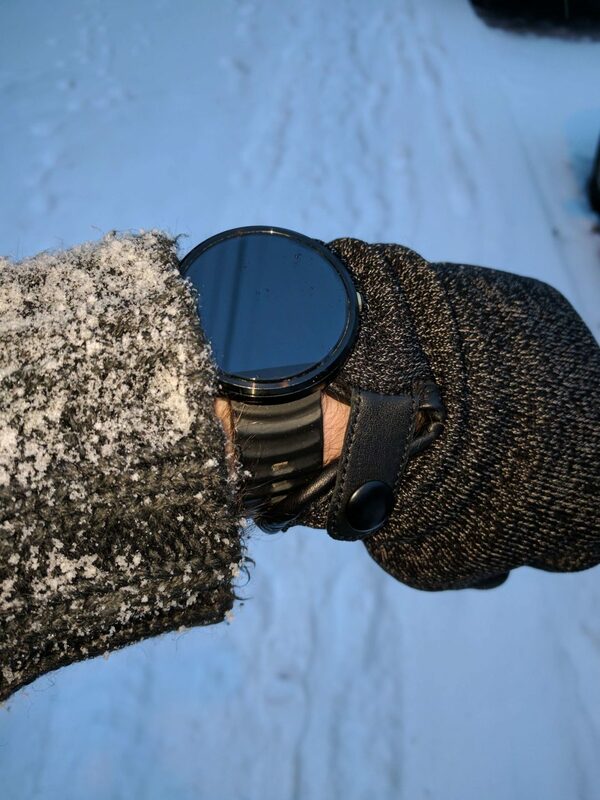 A bit of constructive input on the gloves; It might be a good idea to include a bit more room at the end of the gloves for people that do wear watches, be it a normal quartz watch or a fashionably cool looking smartwatch. While I don’t think this is a deal breaker by any means, I do think that future designs should include some more room. I’m hoping that this is an oversight and that in the future this will get addressed. The gloves to keep your hands warm and the insulation in them ensures that even at -10 degrees celsius you’re golden. It will be interesting to see how well they keep someone warm say in -30c. I’m sure that by the time we get to mid-January, I’ll have a pretty good feeling about it and I’ll revisit to update this post. The gloves can be found on MUJJO site at the cost of $41.78 CAD which does not include shipping. 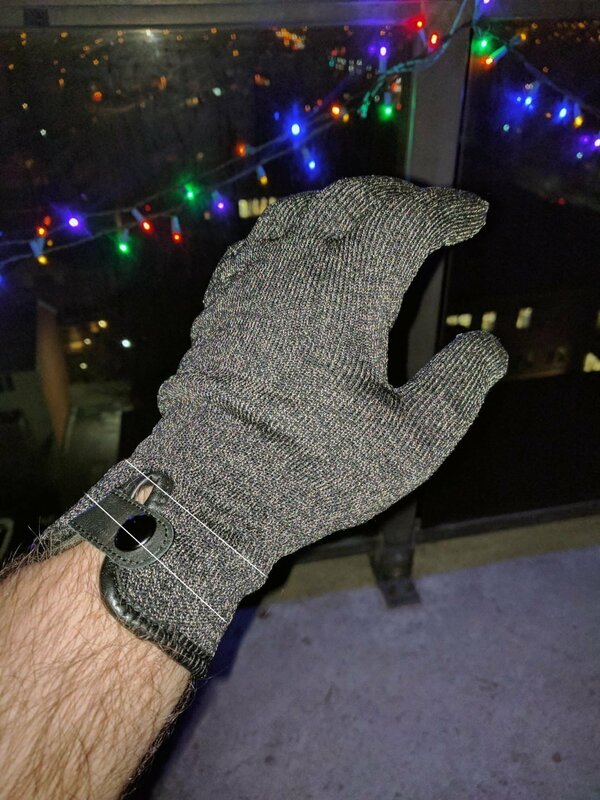 These gloves are well worth it, I will give them 4 stars out of 5 for the simple fact that if you wear a watch you may not be able to pull the glove all the way. I’m glad that they’ve taken to the feedback I provided to them on this small issue, we can only hope to see a newer design sometime next year. Previous The world of SCCM 2012 R2 in a small business….